A cleansing water that moisturizes and firms the skin while removing the makeup. 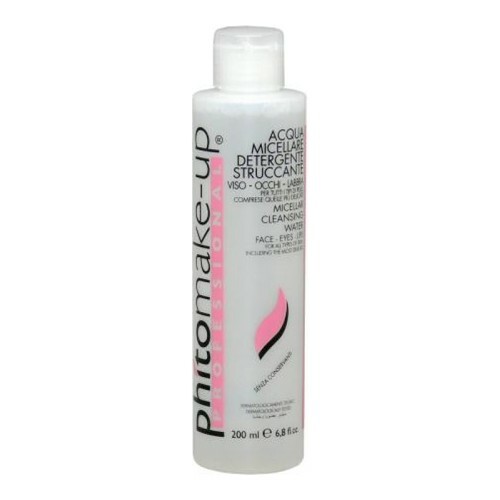 Removes make up and delicately purifies the skin in just one step. With ultra-soft detergents that do not damage the epidermal hydrolipidic barrier. Pampers even the most delicate and sensitive of skin. High concentration of soothing botanicals. Leaves the skin perfectly moisturized and firm. Ideal to remove waterproof eye, face and lip make up. Directions: Moisten cotton pad with the cleansing water and gently wipe across the skin.